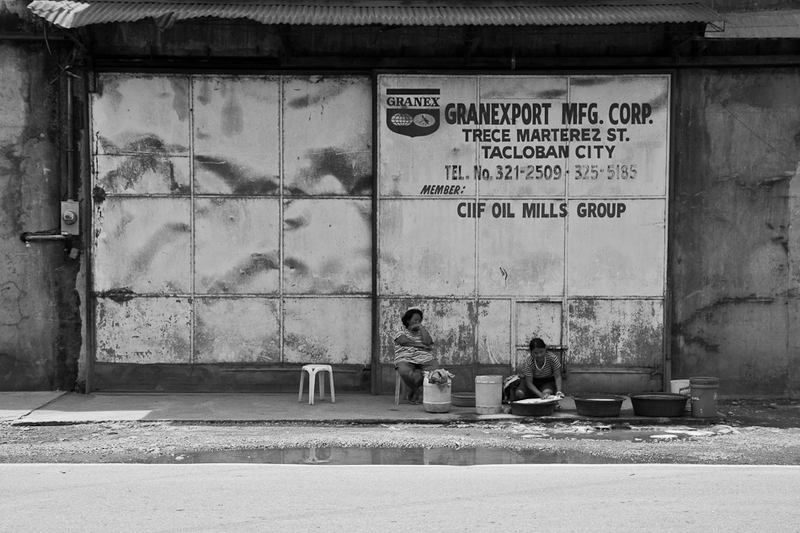 I’m back at the usual haunts near the port area when I spotted these women doing their laundry by the sidewalk. I’ve seen them there many times before but have not given them much notice. It’s been a very quiet day and I had enough time for a casual conversation. This was the most interesting scene during the morning walk. It’s been like this for these women for many years now. Wash day every Sunday. They run a small stall nearby selling food and beverages during the weekdays when the warehouses are open and workers abound. It is only during Sundays that they can do their laundry when the warehouses are closed. It’s just a little past 10:00 a.m. and they just finished their lunch. It might as well be brunch as far as I could tell. They usually finish washing their clothes in the afternoon. If they have money to spare, they usually have a bottle of alcohol or two to finish the day. And then it’s back to work on Monday. Life is just as simple as that, according to one of them.